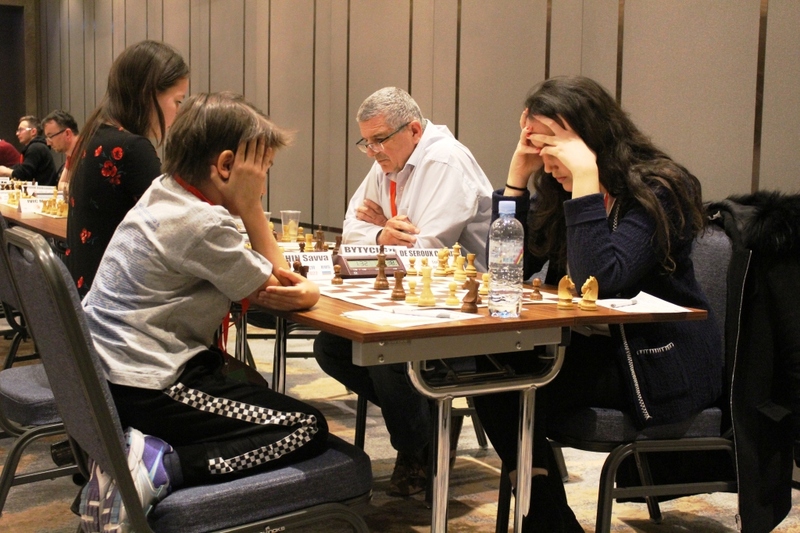 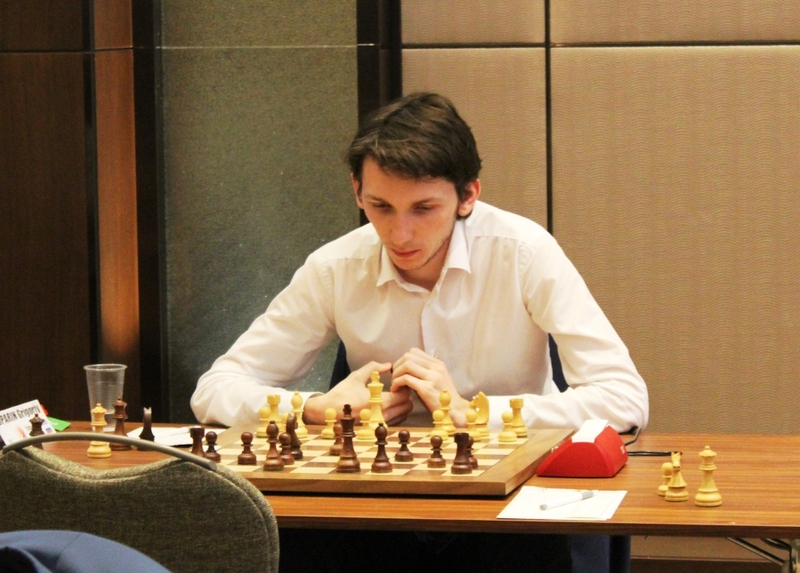 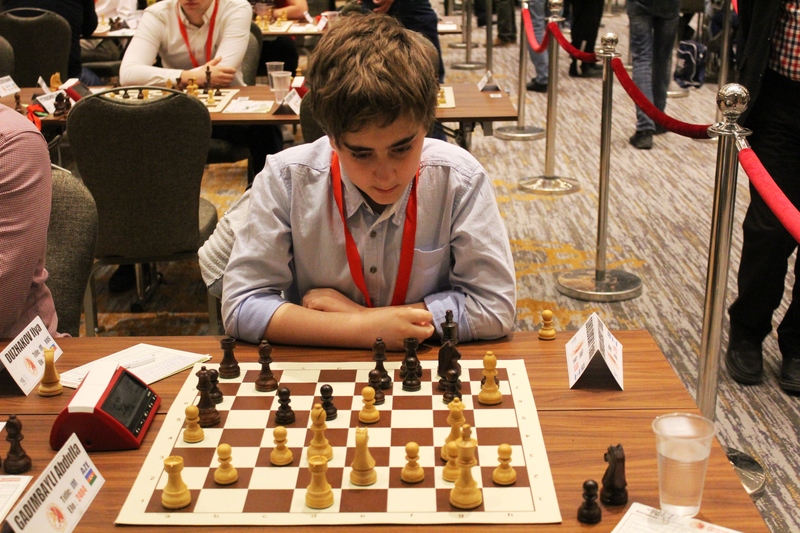 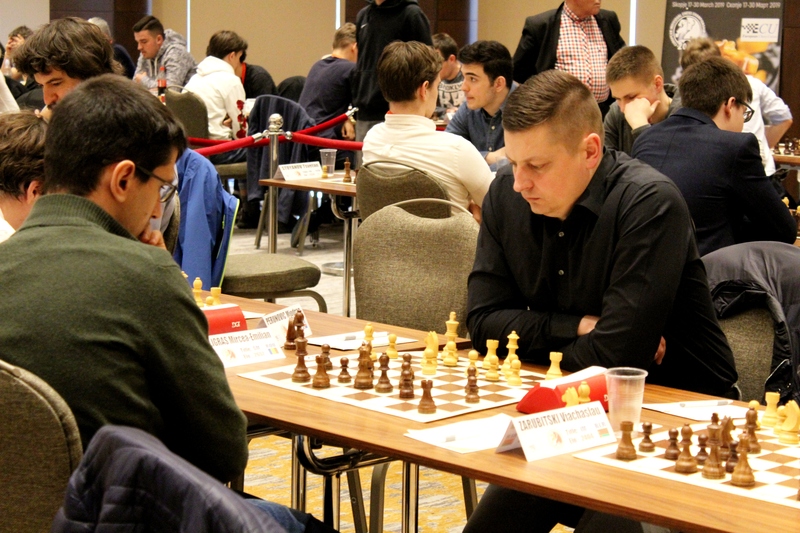 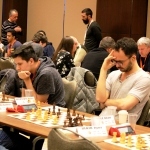 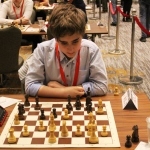 Before the last, 11th round, of European Individual Chess Championship 2019, Artemiev Vladislav (RUS, 2736) emerged as the sole leader with a score of 8 points. 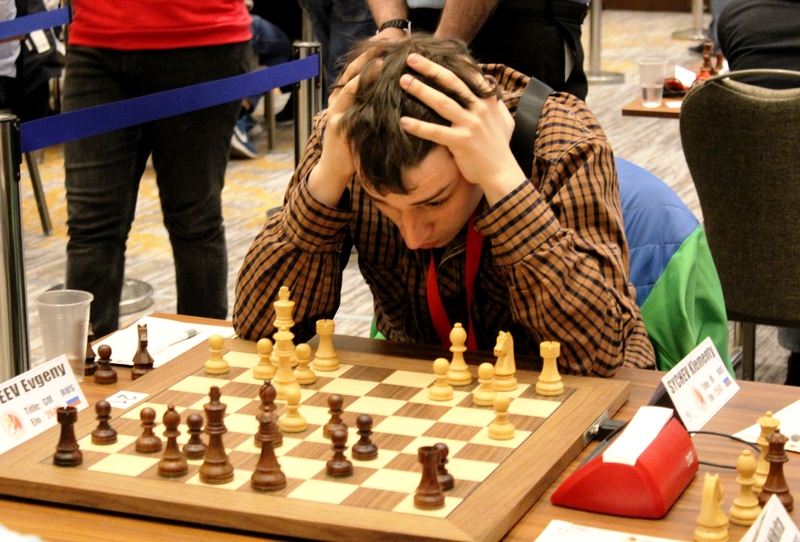 Artemiev took a full point with the white pieces in the 10th round, after defeating 17 years old Russian Grandmaster, Esipenko Andrey (RUS, 2603). 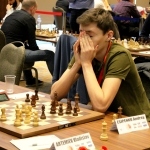 Having managed a better position in the middle game, Artemiev reached a Queens endgame with pawn up. 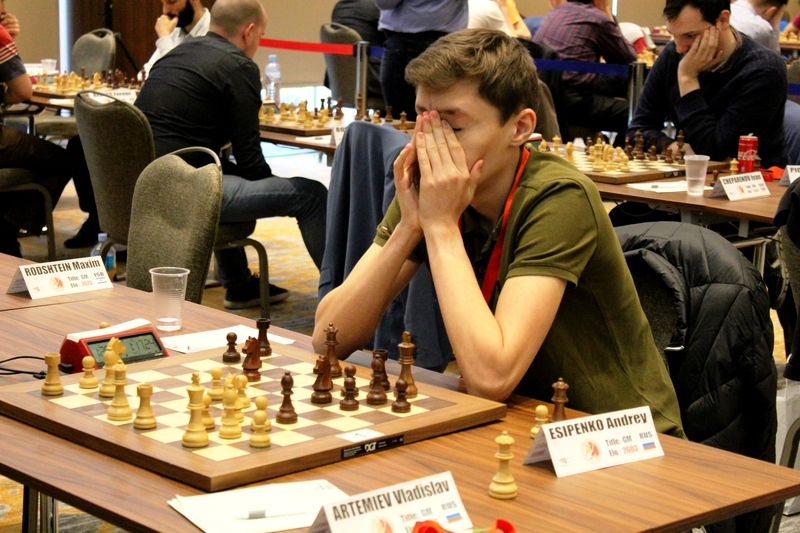 Showing his high technique, Artemiev made a beautiful manner for a win. 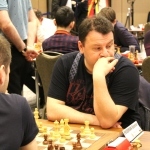 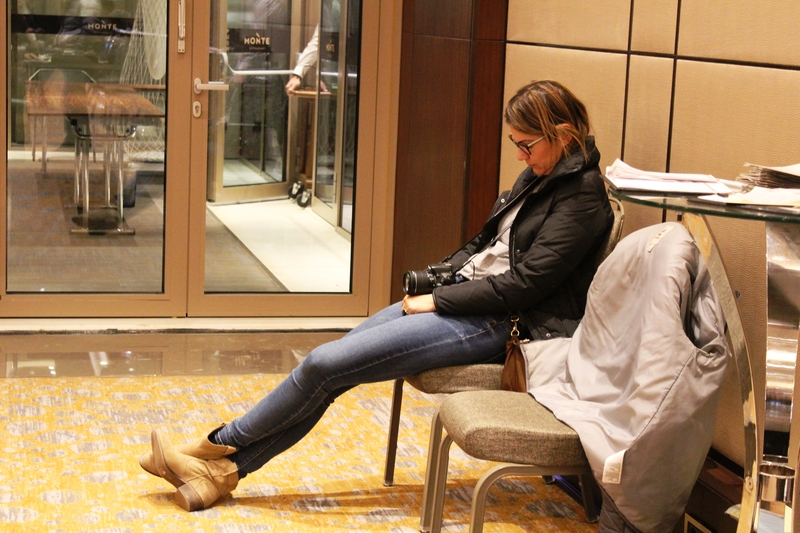 Nine players leg behind Artemiev, each with 7.5 points: Piorun Kacper (POL, 2631), Rodshtein Maxim (ISR, 2673), Grandelius Nils (SWE, 2694), Berkes Ferenc (HUN, 2666), Anton Guijarro David (ESP, 2643), Gledura Benjamin (HUN, 2630), Nisipeanu Liviu-Dieter (GER, 2670), Movsesian Sergei (ARM, 2627) and Oparin Grigoriy (RUS, 2613). 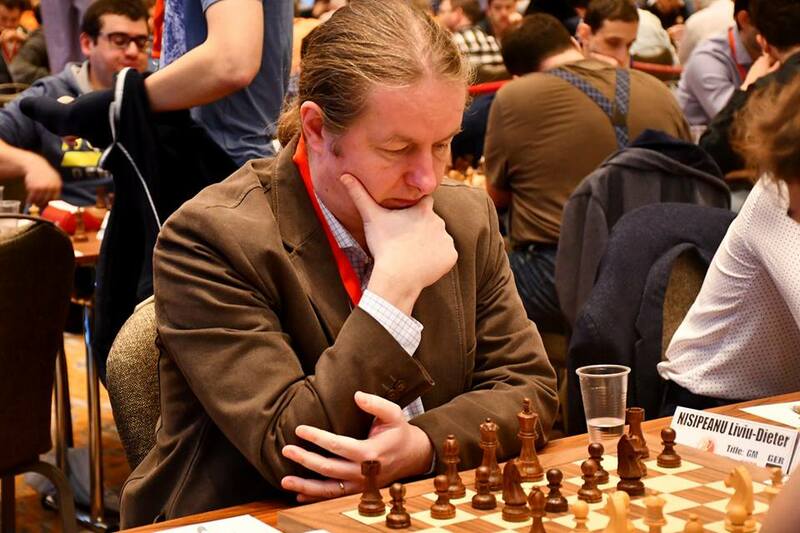 Grandelius Nils and Anton Guijarro David drew in a very interesting and intense game, with chances for a win on both sides. 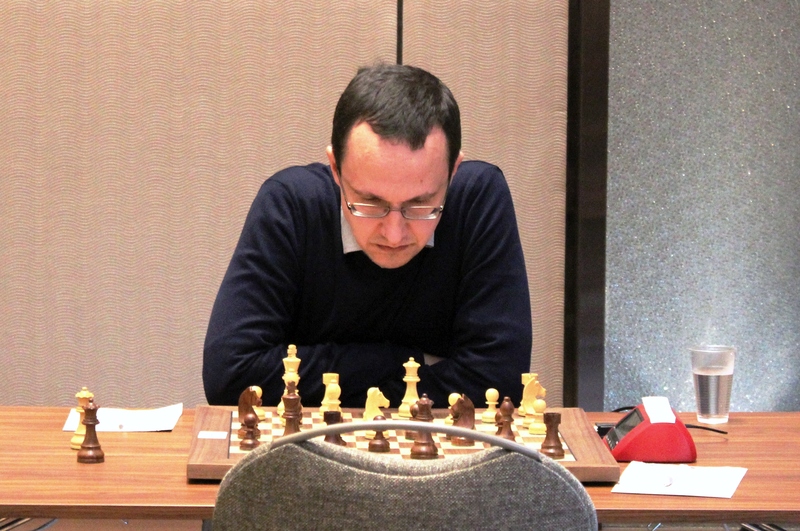 Eventually, the game came to an endgame with knights and two pawns up for Anton Guijarro, but with limited winning chances. 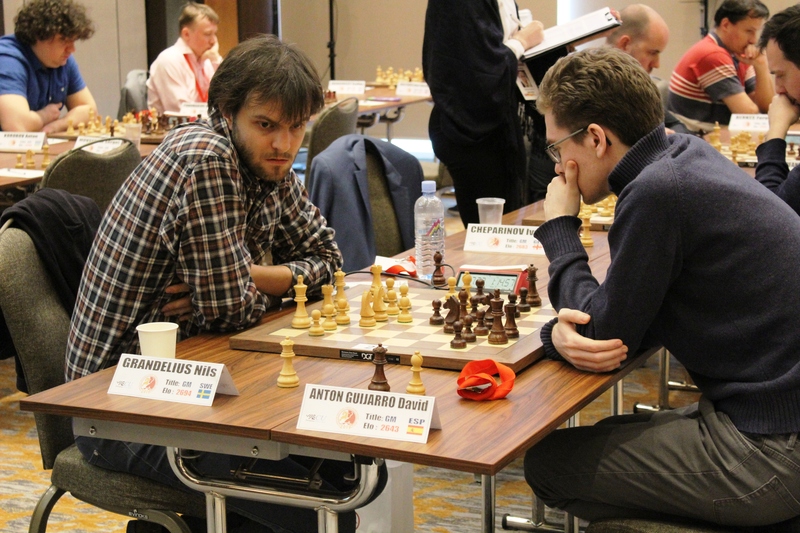 Oparin Grigoriy and Rodshtein Maxim finished a game in a peaceful manner after only a few moves. 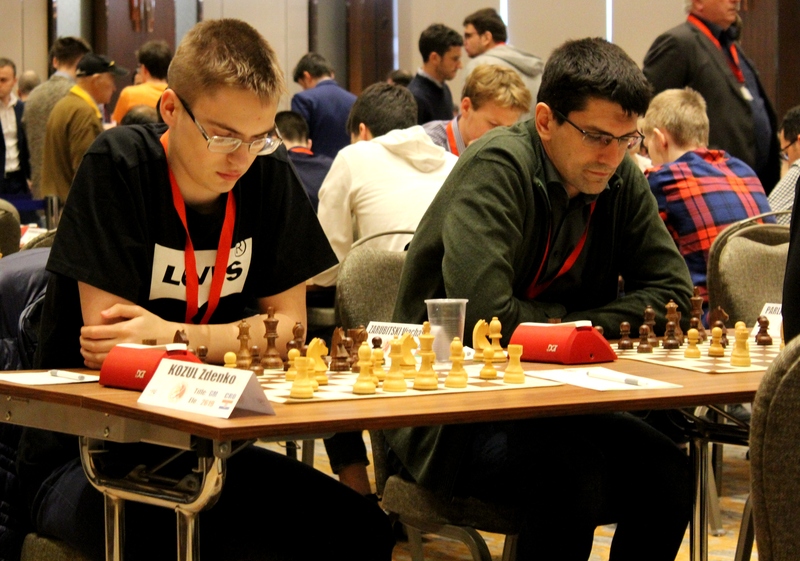 Rodshtein offered a draw with black pieces, and Oparin has accepted in an equal early endgame. Piorun Kacper drew with blacks against Cheparinov Ivan (GEO, 2683). 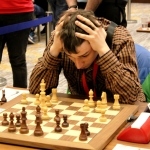 Cheparinov took advantage in the middle game and attacked the King’s side, but made inaccuracies, resulting in an endgame with pawn up for Piorun. 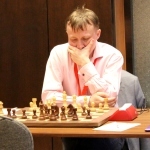 After the exchange of pieces, the position transferred to a theoretical draw in an opposite colour bishops position. 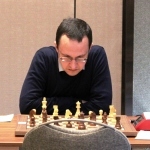 Movsesian Sergei took a victory against Korobov Anton (UKR, 2686). 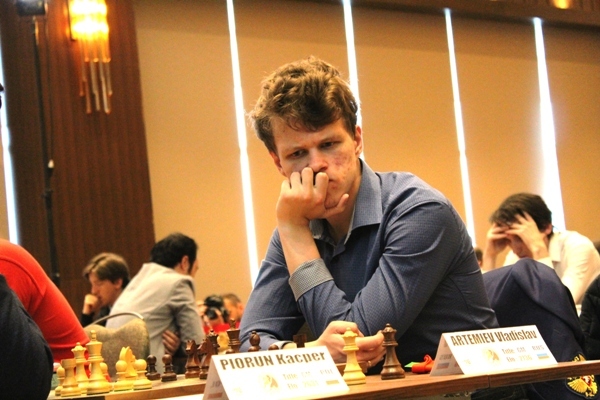 Movsesian attacked with black pieces and succeed a huge advantage, but the game ended after Korobov blundered a piece in the time-trouble in very complicated position, with chances for both players. 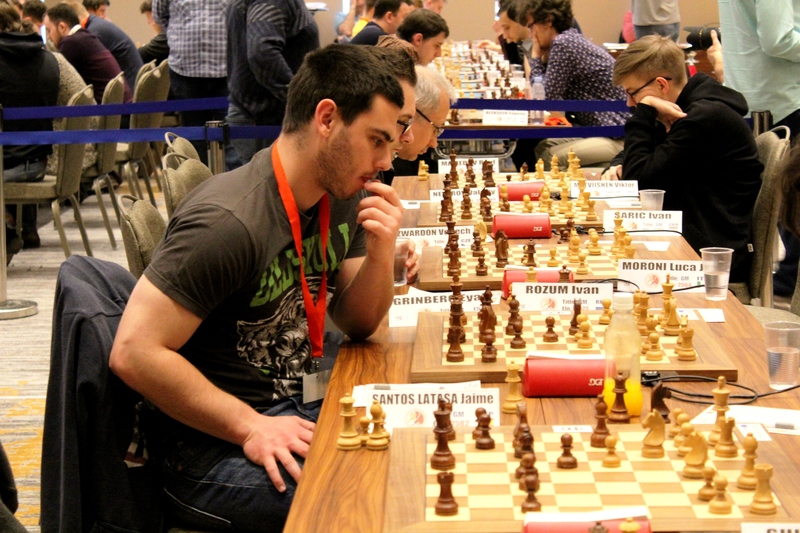 Nisipeanu Liviu-Dieter triumphed against Bosiocic Marin (CRO, 2614). 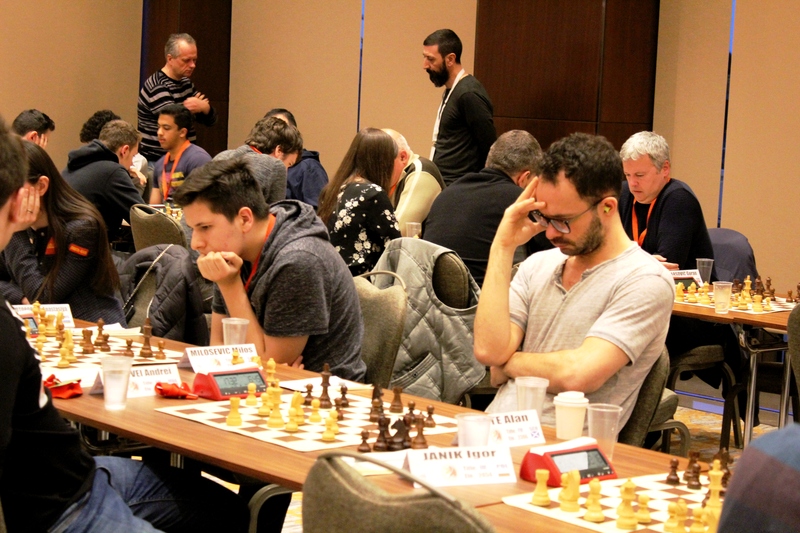 During the whole game, the position was equal, but the Croatian made a crucial mistake in the 41st move after receiving the additional time of the 30 minutes. 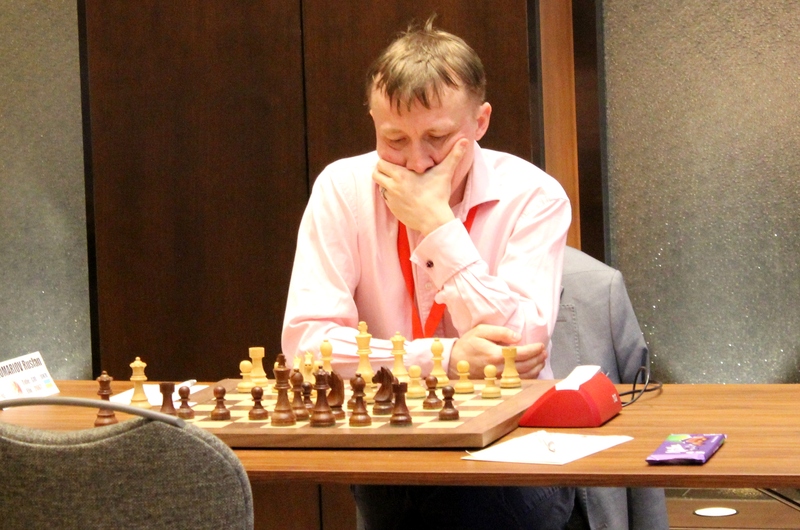 The mistake was fatal, and Nisipeanu came to a win only 8 moves after. 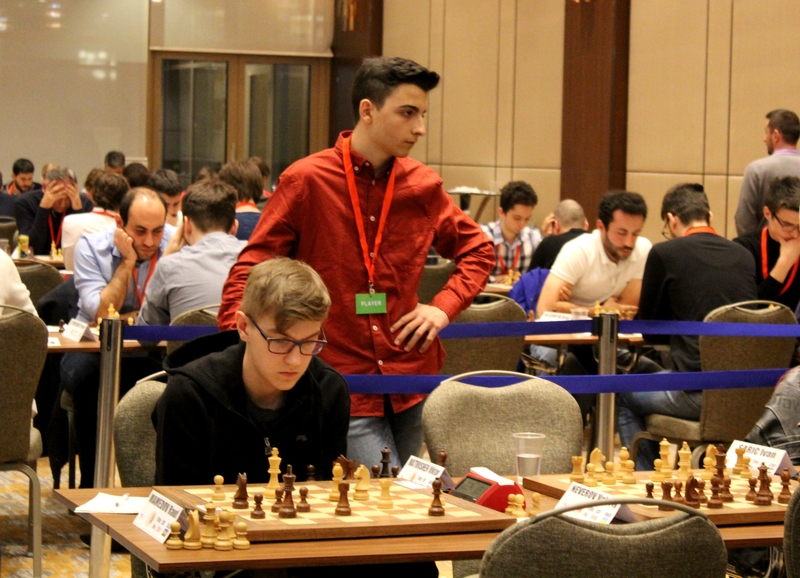 Berkes Ferenc achieved an early advantage against Ter-Sahakyan Samvel (ARM, 2590), which he maintained during the game. 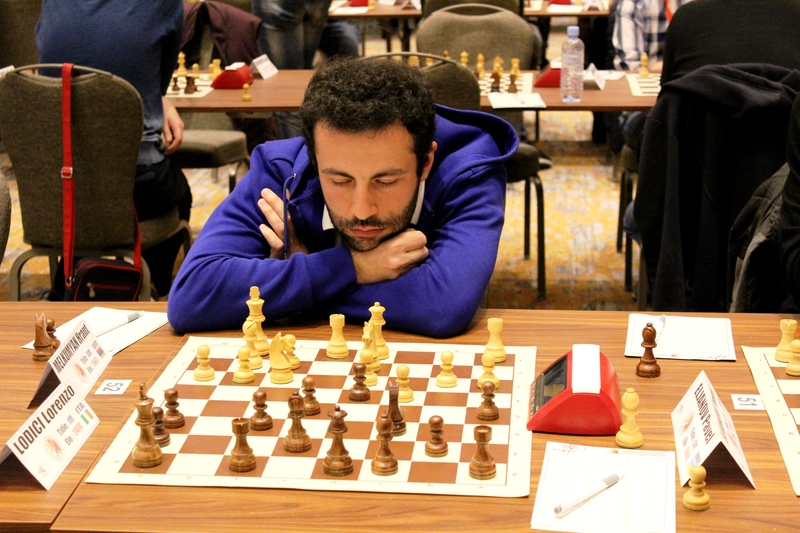 Afterwards, Berkes entered a winning endgame, and with perfect technique took a full point. 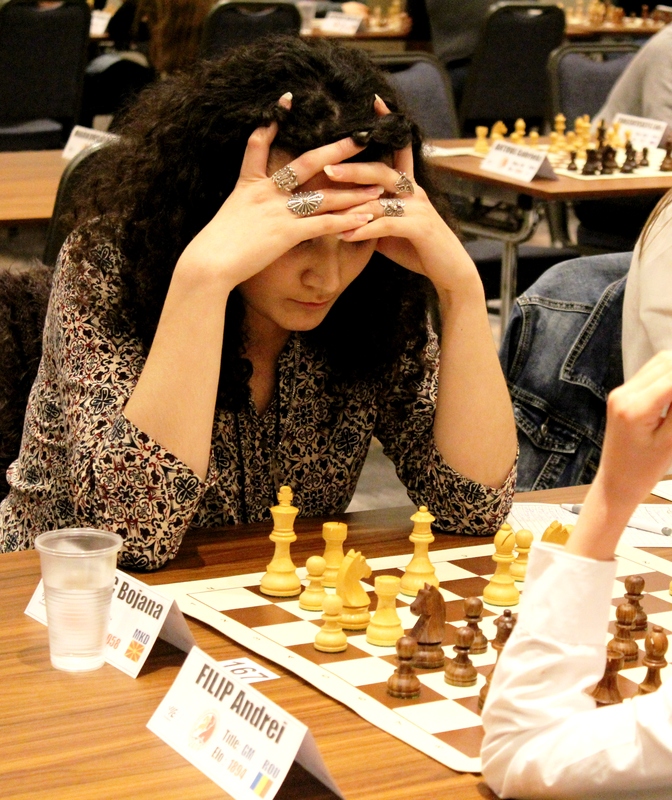 Gledura Benjamin (HUN, 2630) overwhelmed Pantsulaia Levan (GEO, 2611) with black pieces. 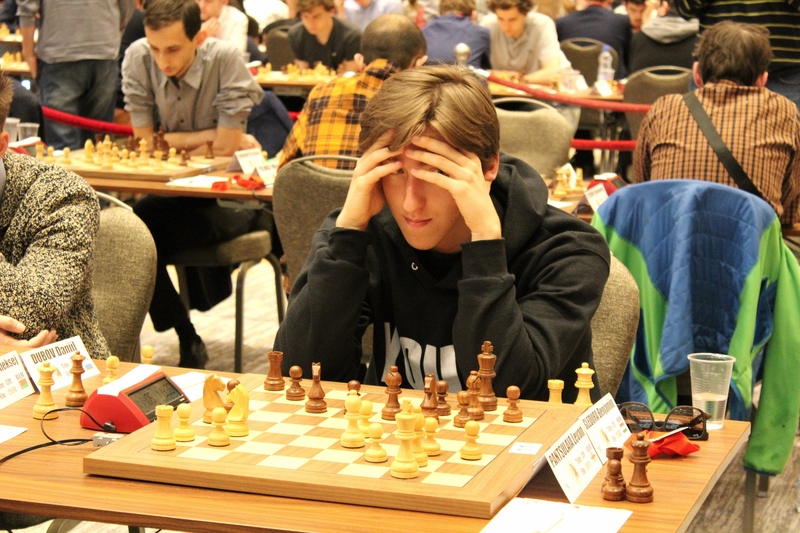 Gledura equalized very fast in the opening, and achieved advantage in the early part of the middlegame. 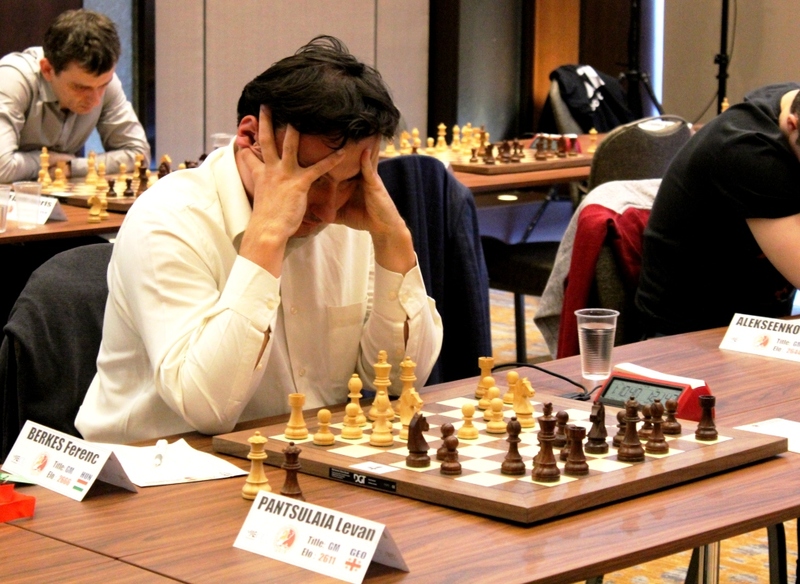 He made a passing pawn on the edge of the board, which eventually became a Queen for a win. 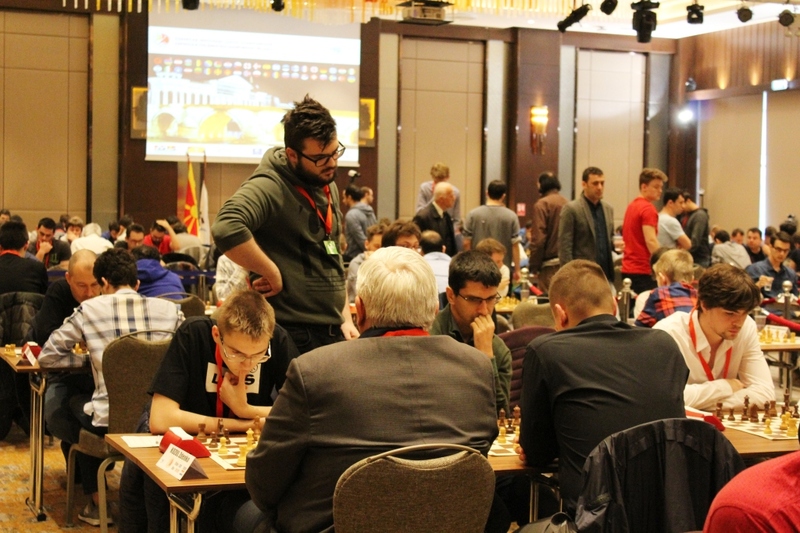 The last round of the event starts earlier, at 13:00 (local time). 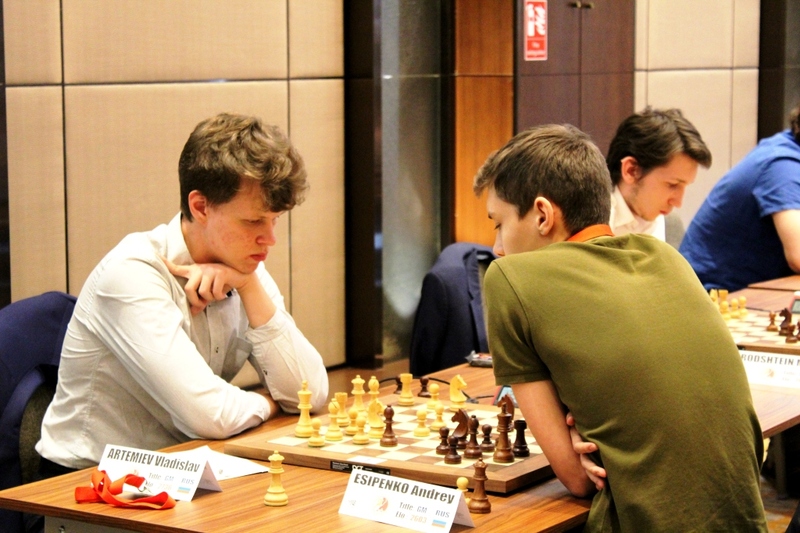 Artemiev plays with the black pieces against Rodshtein Maxim, and the rest 8 runner-ups play each other, hoping to reach the first place. 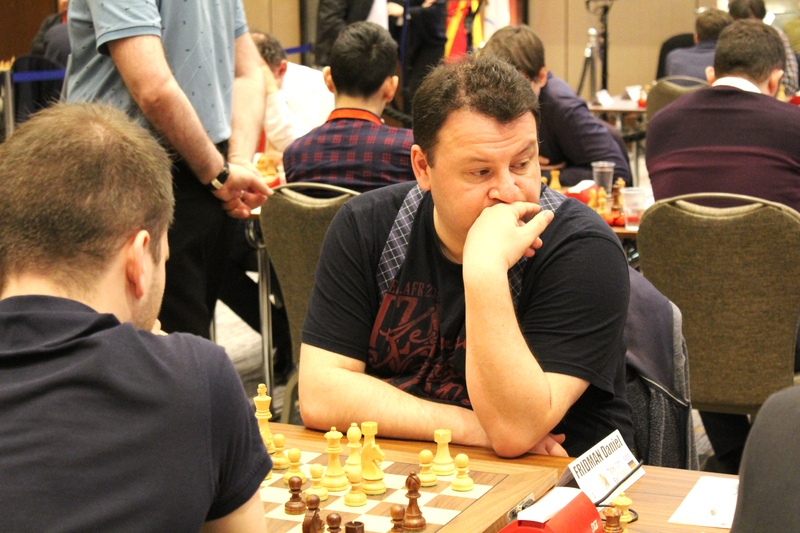 Besides the games for the European throne, the last round will decide 22 qualified players for the next FIDE World Cup. 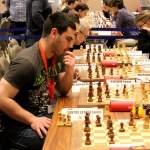 Live broadcast of the games is available here.